A remake of Gremlins has been on the cards for some time. It’s going to happen, no matter how much your inner child repulses at the thought. Now, Bloody Disgusting reports that genre reboot maestro Seth Grahame-Smith has been tapped by Warner Bros to produce and he will team up with producer David Katzenberg for the kiddy-monster flick. Whether this is speculation or not remains to be seen, as Warner Bros. have yet to release an official statement. Should it go ahead with the assembly of talent rumoured, it will mark a reunion for the two producers. Abraham Lincoln: Vampire Hunter scribe Grahame-Smith wrote and Katzenberg is producing the currently in-development Beetlejuice sequel. No director for the project has been announced, but could original helmer Joe Dante take the job? He mentioned back in 2010 that he’s no interest in a Gremlins 3 but acknowledged that a reboot was inevitable at some point. He’s busy now shooting a segment for the horror anthology Paris I’ll Kill You, as well as rewriting the script for werewolf-vampire outing, Monster Love. When Warner Bros. first revealed their desire to reignite the 1984 classic, reports linked the studio behemoth to Amblin Entertainment. In aiming to co-produce the monster flick with Steven Spielberg’s production house, Warner were obviously hoping to capitalise on the successful team behind the original. The first outing had Spielberg producing, Dante behind the camera and Chris Columbus on scripting duties. The original took place in the small fictional town of Kingston Falls. Teenager Billy receives an unusual Christmas present from his Father in the shape of a Mogwai called Gizmo. Taking care of Gizmo requires more attention that your average pet. Soon enough the whole town is overrun with a race of devilish goblins with a mischievous sense of fun bordering on anarchistic. The film was a major success at the time of release and was followed up by Gremlins 2: The New Batch. 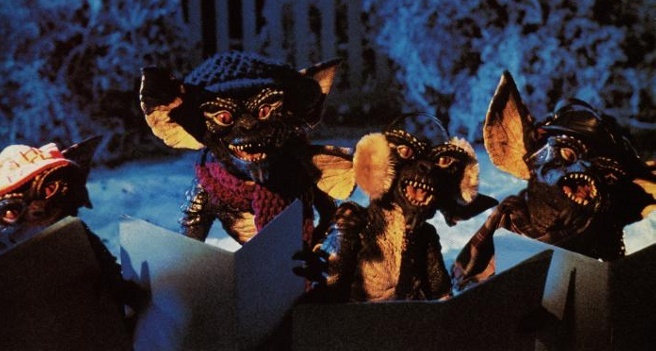 More news on the Gremlins remake when it’s announced.